These days many people suffer from autoimmune problems, and one of the most common is rheumatoid arthritis. You may be surprised to know that this condition begins in the gut, where the vast majority of chronic ailments begin. This is actually a good thing because making changes in your diet for healthy gut function is easy and effective. 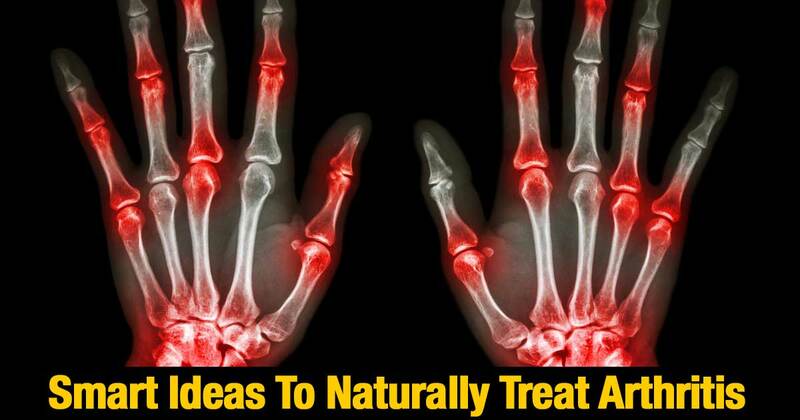 In this article, we will share some smart ideas that will help you treat your rheumatoid arthritis naturally. Read on to learn more. Just like the Tin Man, if your joints are not oiled they will be creaky and stiff. Unfortunately, you cannot remedy this with an oil can. To treat your own creaky joints, you must apply oil from within and it must be the right kind of oil. There are many ways to add these healthy foods to your diet. Have fatty fish such as wild caught salmon for dinner once a week. Add flaxseed or Chia seed to smoothies and shakes. Snack on walnuts, and make sure that any time you eat beef it is grass fed beef. All of these oils cause inflammation throughout your body. They are bad for your health in a wide variety of ways. Replace them in your diet with healthier oils such as extra-virgin olive oil for cold cooking and coconut oil for hot cooking. Most people don’t eat enough of any of these vegetables, but it is important that you increase their presence in your diet to help fight the pain of rheumatoid arthritis. Enjoy cabbage both raw and cooked in many different dishes. Be sure to include onions and garlic when you cook any veggies and/or meats. Take advantage of sales on asparagus in season and eat ample amounts. Bone broth is an old-fashioned sort of concoction that used to be common in every kitchen. It contains collagen that provides the vital amino acid lysine and proline. These two amino acids are essential in rebuilding damaged tissue. For this reason, drinking bone broth helps battle joint degeneration. Making bone broth is extremely simple to do. Just simmer joint bones (beef or pork) for a long period of time. Luckily, these types of bones are usually very inexpensive to purchase at your butcher. They are usually sold as “dog bones” for a few cents. Purchase a few of these and place them in a large pot of pure filtered water. Bring the pot to a boil and then simmer for several hours. This broth can be flavored with garlic and onions and other spices to enjoy as a hot beverage. It also makes an excellent stock for soups and for use in other types of cooking. It’s easy to make a large pot, pour it into smaller, separate freezer safe containers and freeze for future use. Overall, you should enjoy the most natural, whole foods diet you possibly can. It should consist mostly of fresh, whole fruits and vegetables. The reason for this is that raw fruits and vegetables are filled with natural anti-inflammatory compounds and enzymes. Tropical fruits such as papaya are excellent sources of papain, and pineapple contains a very important anti-inflammatory enzyme called bromelain. Be sure that at least half of your diet consists of fresh, healthy fruits and veggies. One exception to the fruit and vegetable rule is that you may want to avoid nightshade veggies. These include tomatoes and potatoes and any other vegetable that is in the Hemlock family. These have also been known to exacerbate inflammation. Many people eat a diet that consists almost entirely of processed foods, and this is a very bad thing, indeed. Processed foods are filled with hydrogenated oils and sugar, and these are both outrageously inflammation producing. If you suffer from rheumatoid arthritis (or even if you don’t) avoiding sugar and processed foods entirely is the wisest health choice that you can make. This means that you should not eat foods that are prepared in advance and come in a package. You should not drink sodas (not even diet sodas). You should also avoid grain products, especially those containing gluten. Most commercially prepared baked goods are highly processed, and the gluten they contain can trigger inflammation. Additionally, highly processed grains convert rapidly to sugar in your system. This not only causes inflammation, it can also lead to type II diabetes. In addition to eating foods that are rich in enzymes, you should also supplement your diet with enzymes. Bromelain is a proteolytic enzyme. This is a type of enzyme that can be taken on its own (without food). Locate a high-quality proteolytic enzyme supplement to take before meals. Supplementing with glucosamine sulfate or glucosamine/chondroitin combined with MSM can also be very effective in relieving arthritis symptoms. This combination provide your body with nutrients that help you rebuild your joints. Adding fish oil as a supplement is also extremely beneficial and may actually provide very quick relief from arthritis pain. Turmeric is an Indian spice that can be taken as a capsule supplement (1000 mg daily) and/or added abundantly to your diet. It is extraordinarily effective in reducing inflammation and improving circulation. Keep a shaker of it handy to add to foods when you are cooking and eating. When treating rheumatoid arthritis, it is extremely important that you take good care of yourself overall. Eat a balanced healthy diet, get light, regular exercise daily and get an ample amount of sleep to help your body rejuvenate, regenerate and rebuild. Follow the smart tips presented here to help relieve arthritis pain and enjoy life to the fullest.